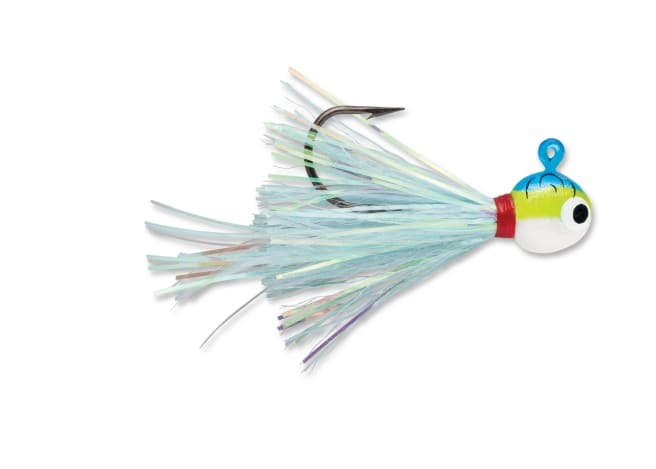 Day or night, grab the attention of any fish with the Hot Skirt Glow Jig from VMC. Designed with ‘glow in the dark skirts’ these baits have no problem calling in fish. Plus, it features sticky sharp hooks to ensure bites turn into catches. Add your favorite plastic trailer, some live bait, or neither - the Hot Skirt Glow Jig straight up catches 'em!